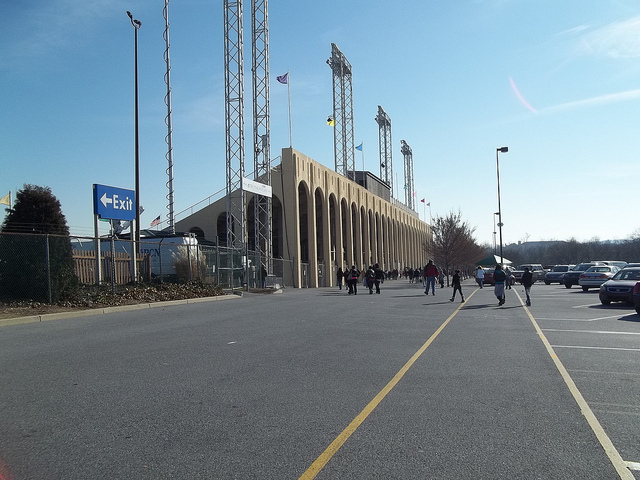 In what would be Ohio Week 17, I drove to Hershey, Pennsylvania for the PIAA Championship Games. I was here two years ago, and had a low opinion of the games. I wasn’t expecting much. My low expectations were surpassed, and I had an enjoyable weekend in Chocolate Town. 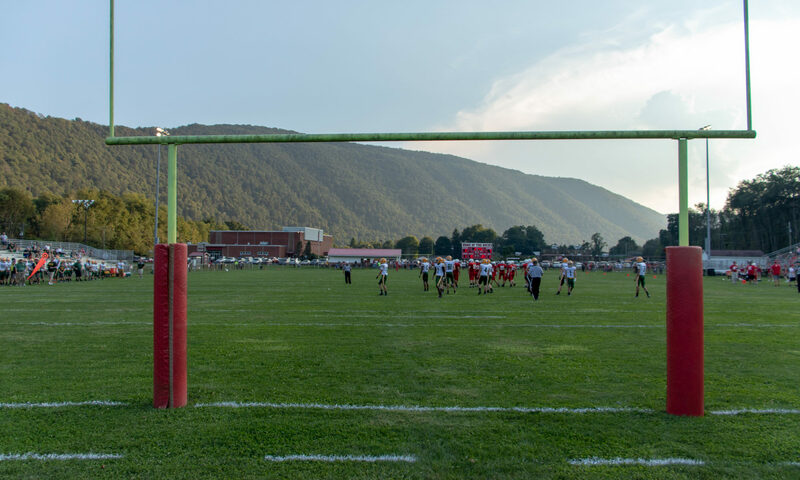 Now, the PIAA still has only four divisions for a state as large as Pennsylvania. 584 Schools in the Keystone State sponsor football. Which means 146 teams on average are competing for a state title. However, the state is not uniform in its structure. As I’ve mentioned before, the PIAA is broken up into twelve districts, labeled 1 through 12. Districts 1, 2, 3, 4, 11, and 12 make up the traditional Eastern Half of the state, while 5, 6, 7, 8, 9, and 10 make up the west. The reason for the difference is that District 11 was originally part of District 3. District 12 was added just a few years ago. The basic rundown is the numbers start in the southeast with District 1 around suburban Philadelphia. District 2 is to the northeast around the Wilkes-Barre/Scranton area. District 11 is the Allentown area. District 3 is the Harrisburg area. District 4 is the north central area of the state around Williamsport. District 5 is the three counties along the southern border west of District 3. District 6 is north the Altoona/Johnstown area but not all the way to the northern border. District 7 (also known as the WPIAL) covers southwest Pennsylvania, but not the city of Pittsburgh. District 8 is the Pittsburgh City League. District 9 then is just north of District 6 to the northern border and then southwest along Interstate 80. The biggest cities covered are Bradford, Du Bois, and Clearfield. District 10 is the northwest part of the state from Warren west about as south as just below Interstate 80. District 12 is the newest. Created when the Philadelphia City League finally joined the PIAA. Shortly thereafter, the Philadelphia Catholic League joined and were placed into District 12. The first 11 districts are controlled individually. District 12 actually has two halves. The public and private leagues regulate themselves and then pit their champions against eachother for the final. Now, the districts are of varying sizes and consistencies. For instance, District 8 has 6 schools, while District 7 has 124 schools, roughly 20% of the entire state. Each district regulates itself different and has different rules for playoff participation and structure. Now, Pennsylvania starts their season one week after Ohio, and has a total of 16 possible weeks of play. After the district finishes nominating their state participant, the state playoffs begin. If a district fails to have enough teams in a particular classification, they’re form a sub-regional playoff. Now, this can work one of two ways. Two districts may hold their own individual playoff and let their two champions face off for the one spot. Or, two districts may hold a combined playoff where one champion is crowned for the combined two districts (or more). Due to the influx of Philadelphia area large schools, the districts in the rest of the state have seen a shift to more small schools. This also caused Class 4A to wind up with more eastern schools which has swayed the line between east and west. Districts 5, 6, 8, 9, and 10 have a grand total of 9 teams. District 8 has 3, while District 9 and District 10 have one team each. Now, the games are played at Hersheypark Stadium which is a dilapidated stadium on the grounds of the Hershey Park, hence the name. The old Hersheypark Arena is to the south of the stadium. It is the site of Wilt Chamberlain’s 100 point game. The new arena for the AHL hockey team, the Hershey Bears, is now far to the west of the stadium on the opposite side of the parking lot. Two years ago when I was here, I didn’t have the greatest impression of the games or the venue. The venue is still drab and uninspiring. They claim it’s ‘historic’, which may be, but there’s been no form of true updates aside from the field turf or the concert stage in the north end zone. This year, the matchups were much better, the weather was slightly better, and the crowd support was phenomenally better. Now, Pennsylvania allows reentry with your ticket stub to the second game. What some people should be aware, is a LOT of ticket stubs are thrown on the ground by the first game fans leaving for their vehicles. All one would need to do is pick up a stub and walk in for free for the late game.